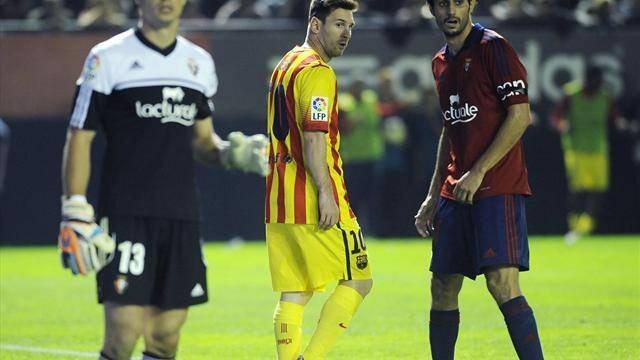 Barça got held to a goalless draw this Saturday night at the Reyno de Navarra, after clashing against a well organized Osasuna side. Neymar started the game upfront with Cesc Fabregas and Pedrito, since Tato Martino has preferred not to risk playing with Lionel Messi right from the kickoff just yet. The Argentinian is coming off a muscular injury and Barça is being as cautious as possible regarding his physical condition, especially since we are ahead of a few highly demanding weeks that include a visit to San Siro to face AC Milan this Tuesday night in the UEFA Champions League, and an always exciting Clasico on Saturday, against Real Madrid. 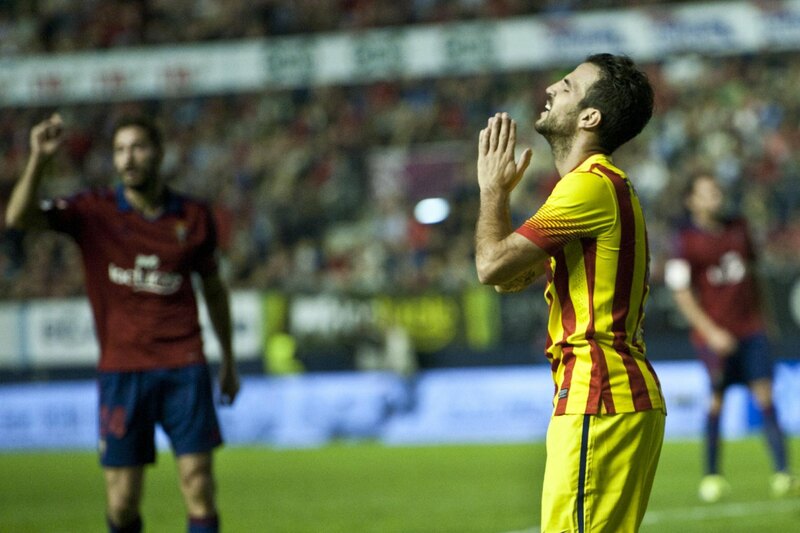 As for the visit to Osasuna, Barcelona didn’t manage to bring back the 3 points, in a game where both Fabregas and Pedrito were quite uninspired. 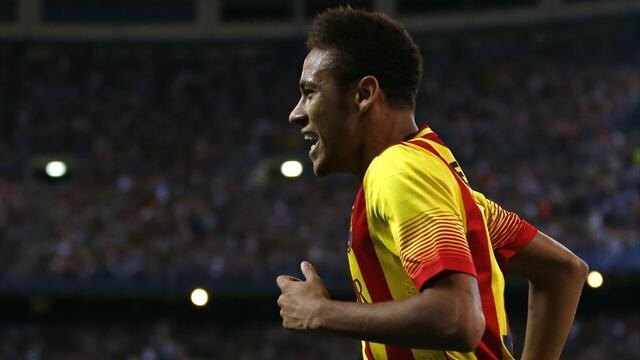 Neymar was one of the best players on the pitch, drawing most of the focus and attention to himself when it came to set-up the attacking plays. The Brazilian keeps being a victim of some harsh fouls and from what we’ve seen in the last games, it does seem that the referees are being somehow complacent with the too much aggressiveness from the defenders. With this Saturday draw, Barça saw Real Madrid cutting the gap to only 3 points, which will definitely spice up even more next weekend’s Clasico. In the other hand, Atletico Madrid lost their first game of the season against Espanyol and are now 1 point behind Barcelona in La Liga standings.